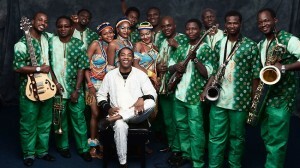 NIGERIAN singer Femi Kuti is continuing his father’s work  using music to fight evil and corruption. 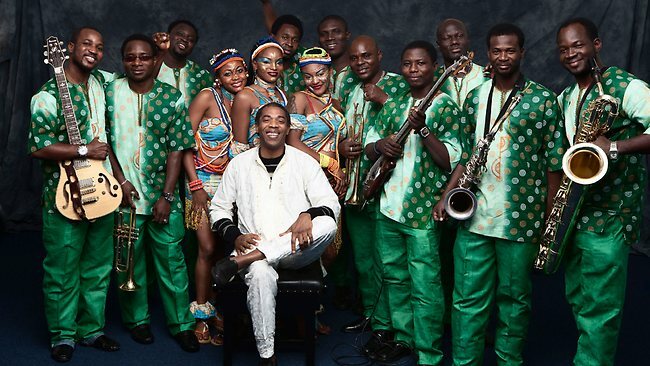 Femi Kuti doesn’t have an entourage of 100 people, as his father, the late Nigerian Afrobeat legend Fela Kuti, did at the height of his stardom. He has never done time in prison, smoked igbo (marijuana) on stage, or married all 27 of his female backing singers at once. But he is still very much his father’s son. “Fela used music to fight evil and corruption and stand up for justice,” says the three-times Grammy-nominated Femi, whose current album No Place For My Dreamblends jazz, funk and African rhythms with pidgin English lyrics that tell of everything from the dangers of global warming to his hopes for world peace. They still do. Sixteen years after Fela Kuti’s death, his memory burns brighter than ever. The man they called the Black President always had a large cult following in the west, but when the award-winning musical FELA! opened on Broadway in 2009 – with help from associate producers Shawn “Jay-Z” Carter and Will and Jada Pinkett Smith, suddenly the whole world knew his name. 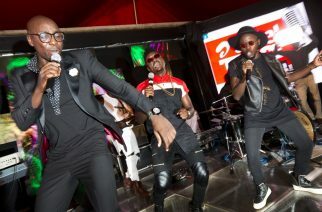 A smash hit in London, now touring the US, FELA! told the story of a classically-trained London College of Music graduate who could have lived a comfortable life outside Africa but chose to remain in Lagos, the largest city in Nigeria, where he was a thorn in the side of a brutal military government that repeatedly tried to shut him up. Officially, Fela Kuti died from complications relating to AIDS – but there are those who insist that he suffered one beating too many. With a back catalogue of more than 50 albums, Fela Anikulapo Kuti’s legacy is Afrobeat, a hard driving African answer to American funk that boasts long, groove-laden tracks with languid solos; a female vocal chorus that takes part in thrilling call-and-response and, when performing live, some serious booty-shaking. Then there are those simple yet biting lyrics. 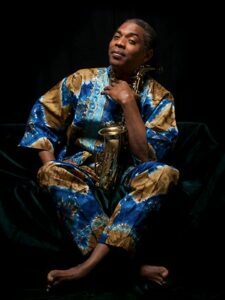 Nigeria is as messed up as it ever was, says 52-year-old Femi, whose powerful saxophone style, charismatic stage presence and Positive Force orchestra will blow Adelaide’s hair back when he appears at WOMADelaide next March, four years after his last visit to Australia. Femi also chooses to live in Lagos, where he has several girlfriends, is father to eight children – four of whom are adopted – and runs the New Afrika Shrine, a hangar-like venue named after the nightclub that was founded by Fela in 1970, razed to the ground by police in 1977 and rebuilt by Femi and his sister Yeni in 2000. It’s a space where professional dancers gyrate in wooden cages, a free weekly disco night attracts thousands and the walls are hung with portraits of Malcolm X and the other black leaders who helped shape the thoughts of Fela Kuti – honoured here each October by the annual Felabration festival. None of which has made Femi Kuti any less outspoken. This, after all, is the man who, when presented with a new four-wheel-drive by a local politician a few years ago, daubed “Government Bribe” on its sides and drove it from the Shrine to his home 16km away – a journey that with gridlock and diversions can take anything up to two hours. “We need a pan-African government that loves its people and the continent,” he says, eyes flashing. “Colonial structures are keeping us separate; it suits the west and the corrupt African leaders to leave us like this. We should be opening the borders and building roads down to South Africa. Femi was 16 when he started playing saxophone in Egypt 80, and 23 when he stepped in for Fela – who’d just been arrested in Lagos – at a gig at the Hollywood Bowl. 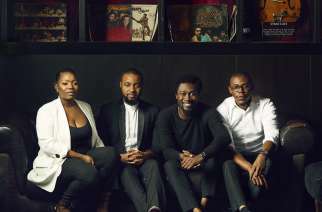 Fela was allegedly a strict taskmaster who rarely praised his son’s achievements, and a man who bore a grudge: when, aged 26, Femi left Egypt 80 to found his own band, father and son didn’t speak for six years. 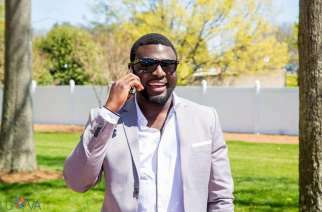 While Femi eschews monogamy, as his father did, he insists he spends more time making music, playing pool and reading autobiographies (“Miles Davis, Dizzy Gillespie, [the late Ghanaian president] Kwame Nkrumah”) than chasing skirt. He pauses, smiles. “Big things come out of following your dreams,” he says.